The recipes in my book will be aligned with my belief that safe starches (white rice, tapioca, potatoes) and some forms of dairy have a place in the modern interpretation of the Paleo diet. If you follow a more strict interpretation of Paleo, never fear! 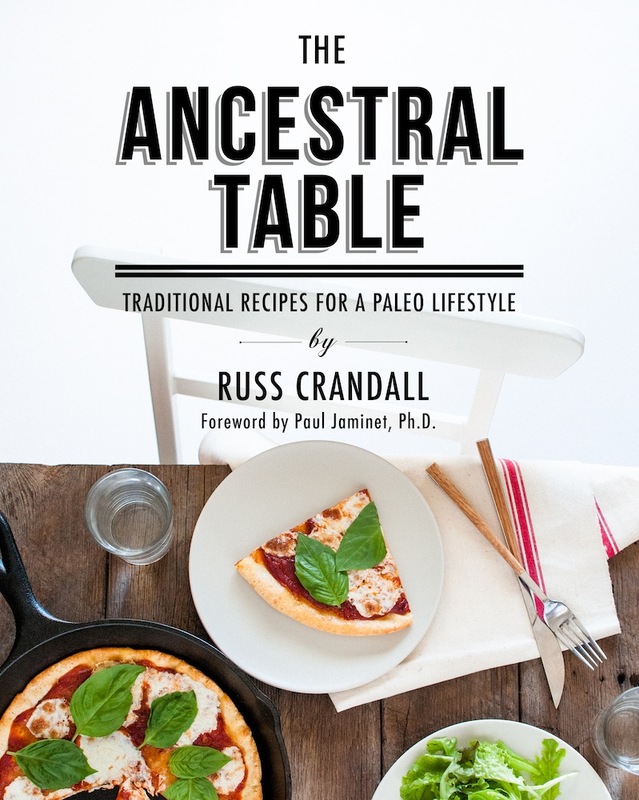 The Ancestral Table is mostly filled with strictly Paleo offerings, and the book will also include a substitution guide for anyone wanting to convert the other recipes to a more conventional version of Paleo while maintaining maximum taste. I pre-ordered your book a bit ago and after seeing the pictures alone and then the recipes, I am SO SO glad that I pre-ordered it. I am really looking forward to this book! Leigh, awesome, I’m glad you’re happy with the recipe list! I tried to find a good mix of familiar classics and new tastes. It’s great that you provide a recipe list. I have been disappointed by recent purchases of other whole food books when they arrive and see their recipes. Cheers to you Russ!! Kitoi, I’m glad you like the list. I feel the same way – I’d like to see a full recipe list before pre-ordering, especially from a debut cookbook! Thank you for sharing this! Best wishes. Be sure to promote it often here! Better too much than not enough…just allow some time in between. Looking forward to giving my first paleo cook book a flip through! Thanks Kita! Hope you like it! Cookbooks need to be written too. I have been following you for a week, a newbie to Paleo. I’ve pre-ordered my copy, having already made recipes from your blog, I’m excited about cooking again. It looks beautiful, and I can’t wait to get my copy. Congratulations on a job well done. Alison, thanks! I’m hoping this book is a perfect fit for people trying to figure out how to step up their cooking and introduce new foods after a month of strict Paleo eating. You may benefit the most from this book! Good luck with your journey. Congrats Russ!! Exciting stuff! That looks like such a great list of recipes, can’t wait for the cookbook to come out! I love that you included how to render pork fat. I have done it before and tried to do it from memory from what the farmer told me. I think I could have saved a lot of mess and trouble if I had a good written guide! Thanks Christine! Beyond Bacon also has a really good lard-rendering recipe (and sausage and pancetta!). The photos are gorgeous – can’t wait to try some of your recipes! Congratulations on the approaching book release! I have 2 copies on my amazon wish list – one for me and one for my friend, who has expressed interest in paleo(! ), but draws the line at giving up rice. I know she will enjoy these. This looks great! Please send ordering details. hey right on for mentioning KABEES EL LIFT :) I like your diversity yet humble approach. Thanks Rogelio! I tried to provide familiar recipes as well as some unexpected choices. I’ve been lurking around your site for awhile now and the book looks great so I’ve got one pre-ordered. Thanks for all the work you’ve put into your site and the book! Congratulations! Well deserved, I will pre-order now too. Russ, looks great. I can’t wait to try the Jerk Pork. What was the hardest part off writing this book? What was the best part? Thanks Brad! The hardest part of writing the book was deciding what to put in the book. There are so many favorites that didn’t make it into the final draft. I guess that’s for book #2! The best part is definitely having a physical copy in my hands – it’s weird and awesome to final see the fruits of nearly 2 years of labor. Just found your blog today, and I’ll definitely be back! These recipes in your book sound superb.. I’m sold! Eagerly awaiting its release now. I’ve been experimenting with paleo recipes the past few weeks and I have to say I have been feeling great on them and they are so tasty. I don’t even feel like I miss most foods that I used to crave since I don’t get hungry nearly as often. Not to mention, it’s really helped stop my instant noodle addiction! I ordered your book today and now after seeing this luscious list of recipes, I cannot wait for it to arrive!!! Thanks for putting together an incredible variety of foods!! I’d try the barbecue sauce and then put it on the pulled pork. Because I’m afraid of cooking and these sound approachable.